This statistic shows the response to a survey taken amongst adults in the United States in December 2014. One question asked: Which of the following have you ever taken a selfie with? The survey revealed that the most popular selfies were those taken with family, with a 34 percent share of respondents. 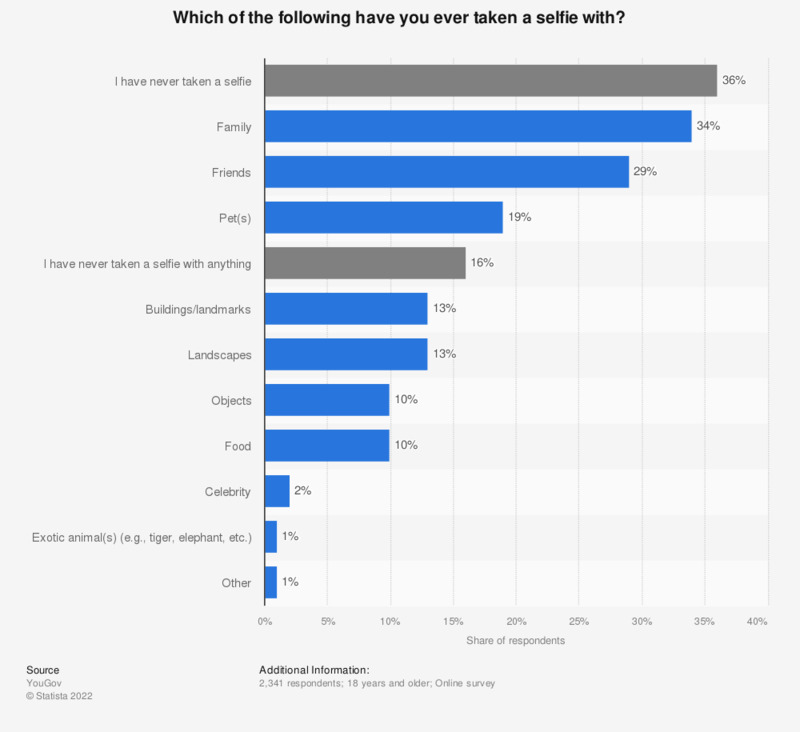 However 36 percent of respondents stated that they have never taken a selfie. The original question was phrased; 'Which, if any, of the following have you ever taken a selfie with? By "selfie" we mean a photograph you take of yourself." Women: Have you ever taken a selfie? Women: Approximately how many photos do you personally take per month with smartphone or mobile device?